Signaling a move to “green” Detroit, the City Council approved a resolution in 2007 to create a citywide Green Task Force to advise on energy efficient and environmentally sustainable principles and practices to better serve the community. All of the following groups either led to or are the result of Detroit’s Green Task Force. In a city often depicted as a wasteland, these projects show the promise of transforming Detroit Motor City to Detroit Green City. 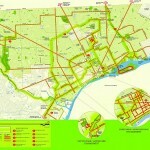 Utilizing the open space in Detroit -- nearly one-third of the land is unused -- the Michigan Trails & Greenways Alliance has put in place a plan to build an interconnected, 60-mile network of trails and greenways for local bikers and pedestrians (above map). 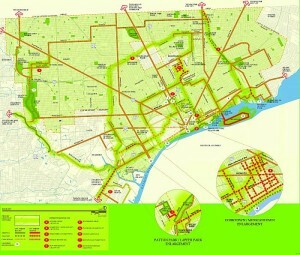 Eventually, the Detroit Greenways plan will connect to an additional 400 miles of bike lanes that will soon be built as a result of the city's recently approved Non-Motorized Transportation Master Plan. Back Alley Bikes started as an education project nearly a decade ago utilizing bicycling as a community outreach effort in the Cass Corridor neighborhood of Detroit, a depressed area of the city where drugs and crime have been a problem. Back Alley Bikes offers bike repair courses over the summer to local youths and hosts an Earn-a-Bike program, where volunteers can earn their own bike. Once trained, kids have the option of eventually working at Back Alley, which also sells and repairs bikes -- with profits going back into the education program. In the neighborhoods of Detroit, the nearest grocery store is roughly twice as far as the nearest fast food restaurant. Many shop at liquor stores and corner markets that carry few, if any, fresh fruits and vegetables. Not coincidentally, the city has one of the highest rates of obesity in the country. 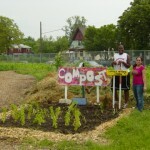 The Garden Resource Program, in response, works to provide local home, school and community gardens better access to resources and education to help Detroit residents grow, harvest, prepare, and preserve food for their families in their backyards and neighborhoods. 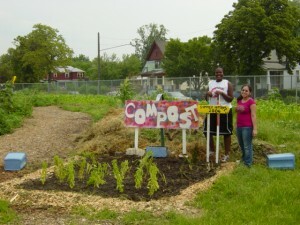 In 2008, for example, over 169 community gardens, 40 schools and 359 families received 32,320 seed packets and approximately 129,360 Detroit grown plants. As a result, thousands of pounds of fresh food was successfully produced throughout the city. Michigan Governor Jennifer Granholm recently put forward a statewide goal -- “45 by 20” -- to reduce fossil fuel use for electricity generation by 45 percent by the year 2020. Currently, Michigan spends $2 billion a year importing coal from other states -- making up 80 percent of the state’s electricity annually. While reducing fossil fuel dependence throughout the state is a public plan, the solution lies in the private sector. Non-profit alternative energy accelerator NextEnergy, based in Detroit, is among the leaders in this effort. In the past decade, NextEnergy has been working to facilitate alternative energy technology development and commercialization with entrepreneurs throughout Michigan. Many new energy products undergo testing at NextEnergy’s facility in Detroit’s "Techtown." These alternative energy products, the group says, are expected to create thousands of new jobs for Michigan’s workforce in the next few years. Currently, the group is lobbying to bring a U.S. Department of Energy wind turbine testing facility to the city. It was a vacant apartment building. Now, it has been rebuilt green. With some 80,000 homes and buildings vacant in Detroit, developers -- like those at 71 Garfield -- see an opportunity. 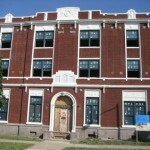 Using public loans, grants and tax credits for energy efficient and sustainable projects, the rehabilitation of 71 Garfield includes the addition of solar power (providing 20 percent of the needed electricity), geothermal heating and cooling and recycled materials for the building's new structure. The project also created more than 50 construction jobs (many in new green trades). In addition to apartment units, it will provide retail space for local businesses. Located in the city's Sugar Hill district, it connects to Detroit's downtown by mass transit and is a part of several other regional transit-oriented developments in the works. 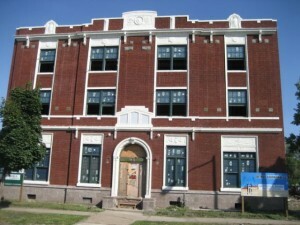 WARM Training Center, a Detroit non-profit, promotes the development of resource efficient, affordable, healthy homes and sustainable communities through education, training and technical assistance. Among other initiatives, WARM started a Weatherization Specialist Training Program in 2009 in the hopes of improving area homes and providing new skills and job placement assistance to a workforce in need (Detroit's unemployment rate is just under 30 percent). Last year, the pilot program trained some 80 workers. 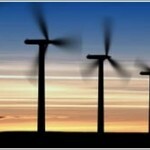 Already, 50 have graduated with over 80 percent obtaining work in the green jobs field. Starting in 2010, WARM will train and assist 240 more Detroit-area workers. 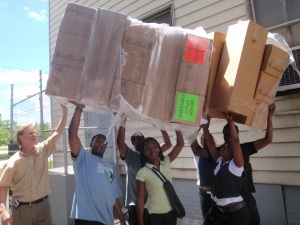 Detroit Youth Energy Squad (D-YES), an offshoot of WARM teamed with the local Voices of Earth Justice group, began a similar program in 2009 -- training and employing area youths (ages 16 – 24) to install energy saving kits that help low-income households conserve energy. So far, the group has put nearly 30 young people to work, often times on the houses of family and friends, and has made over 100 homes more energy efficient (reducing utility bills by 14 percent). This spring, 8 high school students will join the program. D-YES is currently looking for more funding to expand training for a summer session.